Tag Archives for " difference "
Dehydrator Vs Smoker – What’s the Difference ? People are often confused about whether to choose a smoker or a dehydrator. Both offer the option to make food and other items preserved. Both are ideal for increasing the longevity of food. Dehydrators preserve food and craft items in safe and nutritious ways. A dehydrator is the means through which different types of food stuffs such as fruits, vegetables and purees can be preserved for a long time through the extraction of moisture. This also prevents microbes from growing on the food. On the other hand, a smoker has different uses– it smokes and retains the flavor of the food. Till now we have discussed a lot about dehydrators on our website. But there are still few people who consider dehydrator juts similar to an oven. But that is not true. There are a lot of difference between the dehydrator and oven which make them alike. You can do dehydration in both the appliances but the results are always different. So, let's go more into detail about the topic i.e. Dehydrator vs. oven in the below article to solve the doubt in your mind. But firstly get familiar with the two products definitions. Are you a health cautious freaky person and looking for some amazing appliances that can assists you in this path? ​Then you do not need to go on to any other place as here we will give you a glimpse of about two best food dehydrators which are available in the market i.e. 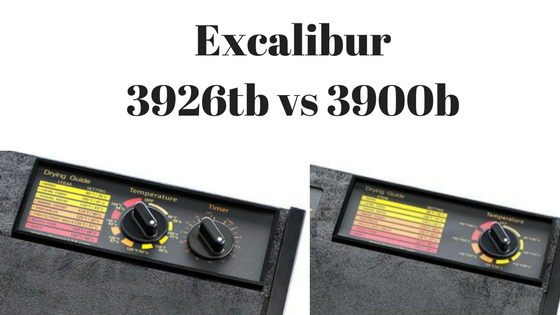 Excalibur 3926tb and Excalibur 3900b. Horizontal or Vertical Air Flow System-Which Dehydrator is Best for You? Do you know that there are two types of air flow system through which the air flows inside the food dehydrator? Yes. Every dehydrator come with anyone of these air flow system. 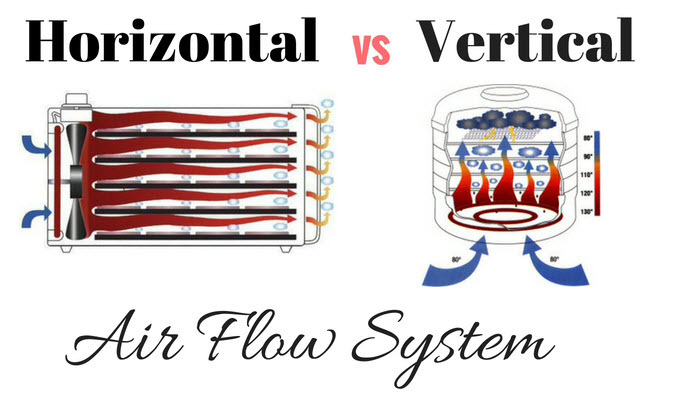 In this post we are trying to cover major difference between horizontal vs vertical air flow​ system, how they are going to work and which one is best for you. ​A food dehydrator is one of the convenient food dehydration devices of the kitchen that utilizes two air flow system i.e. Vertical air flow system and horizontal airflow system. Both these systems help in drying out your foodstuffs like banana, beef jerky, kale, etc perfectly.